With London “win easy” Considered, rightly, one of the tourist destinations of the most famous, the British capital hardly needs any introduction. Often confronted with the most romantic Paris, London is a true metropolis, the kind that you can hate or love. But not indifferent! It cannot happen. London is the dampness of the rain that wets almost incessantly, is the warmth of a cup of tea, it’s the red phone booths and bus, is the dazzling light of the posters Piccadilly Circus, is the scent of flowers of Hyde Park, is the shouting of people at Portobello Road. I give my 5 reasons that made me fall in love at first sight of London. It may seem strange that we can count a Ferris wheel between 5 reasons to love London, but for me it is, and if you have not seen it is also difficult to explain how to feel. The wheel, the London Eye, is, in my opinion, perfectly integrated with the landscape, indeed it gives it a little something extra . And London view from above is spectacular. I love the water and I always say, the city view from the water takes on a special charm. London is no exception and a ride on the Thames is really a must. The skyline of the city will leave you speechless. The large clock on the tower of the Parliament is a classic London, now almost become its symbol. And I think he deserves it all. Visible from afar, is not the only popular watch the streets of the British capital. I’ve got noticed and photographed dozens, more or less historical clocks, but surely there will be many more that I have escaped. It would be nice to organize an ad hoc tour! It is a habit that I have to take tea almost every afternoon, not so much for the drink itself, but for the feeling of relaxation that is natural to associate me. In London is a real rite, they all follow. Many tea houses, some really beautiful (though often more expensive than a restaurant), where you can sip a hot drink accompanying it with sandwiches, scones, cookies and cakes. A paradise for gourmands! Be enchanted by the red phone booths, from orange sunset, from the London Bridge Blue and above a thousand colors of the flowers of parks and houses. Certainly London is not a city in black and white! 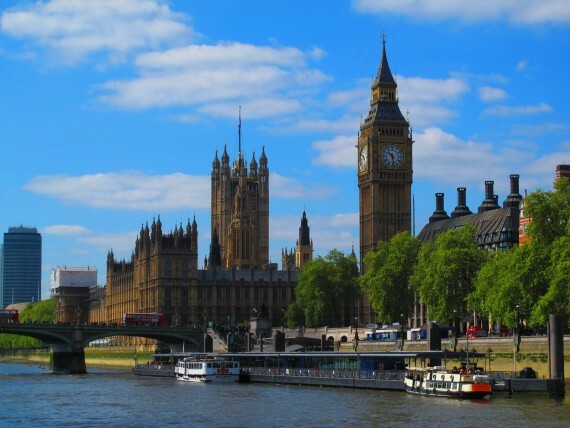 Be the first to comment on "5 reasons to love London"